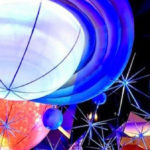 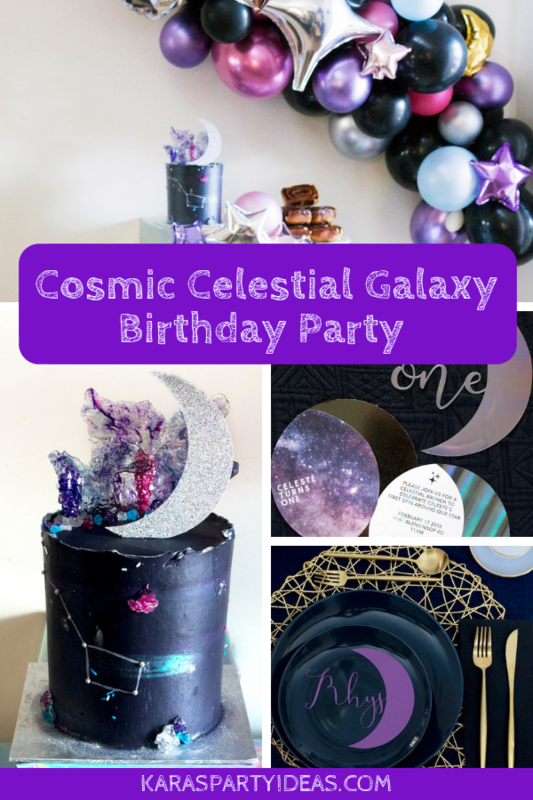 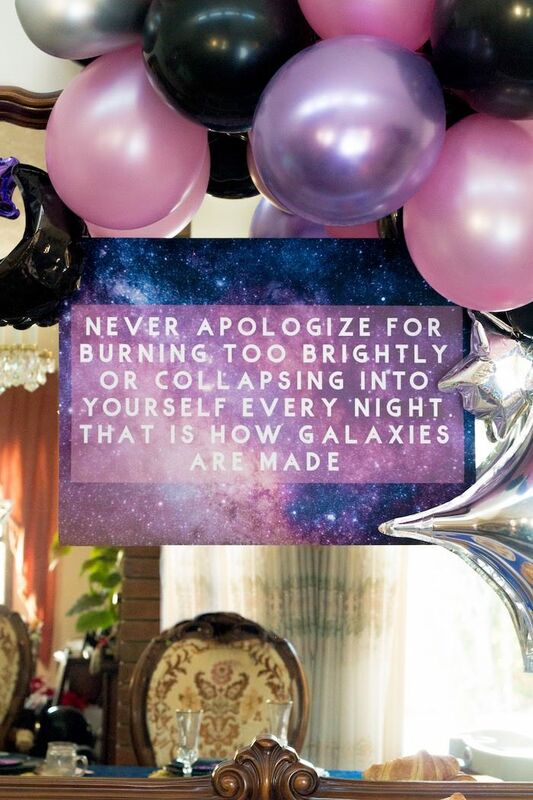 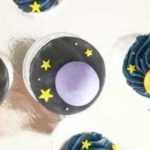 I’m mesmerized over this Cosmic Celestial Galaxy Birthday Party by Tan Rutley of Mesa Events, out of Victoria BC Canada! 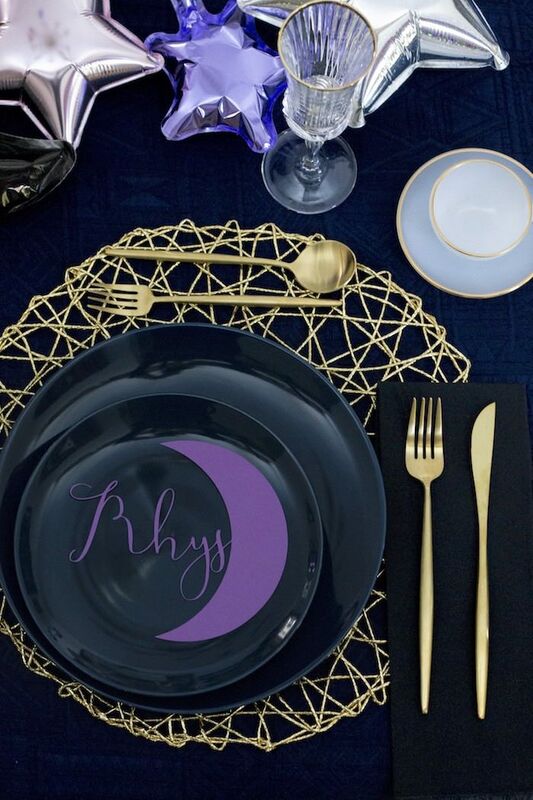 Twinkling with details that both inspire and mystify, this celebration is definitely out of this world! 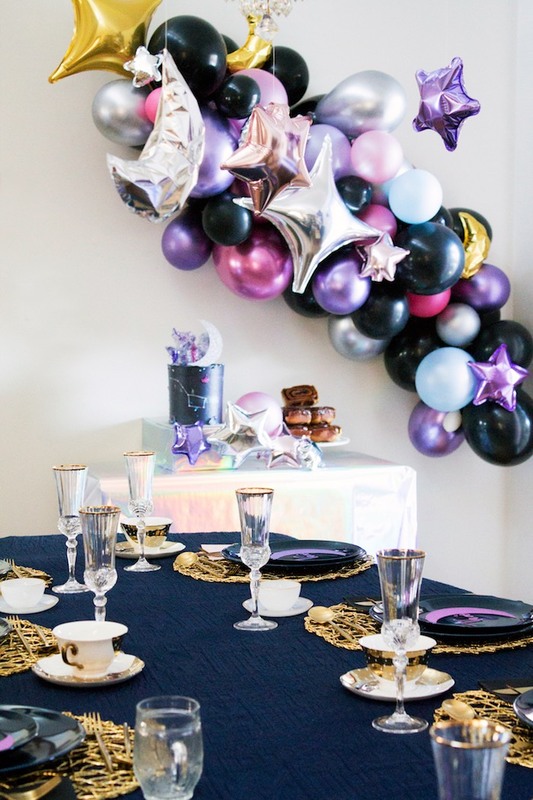 “We had a small brunch gathering with family. 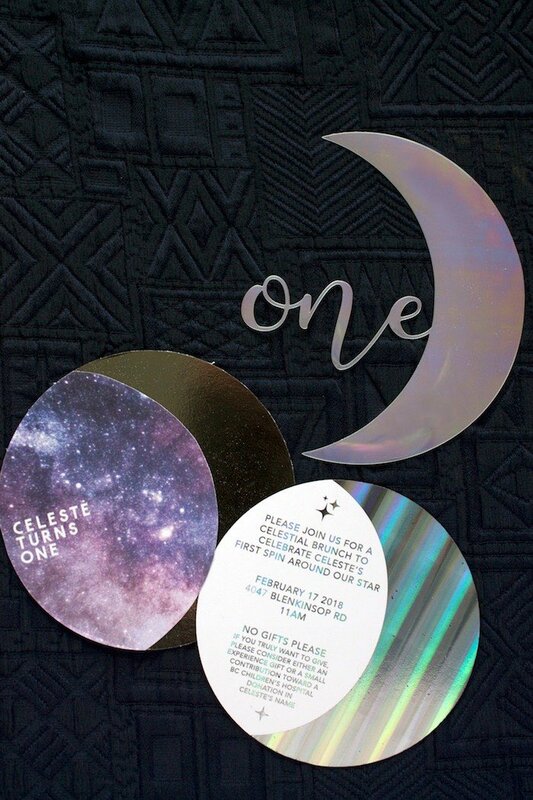 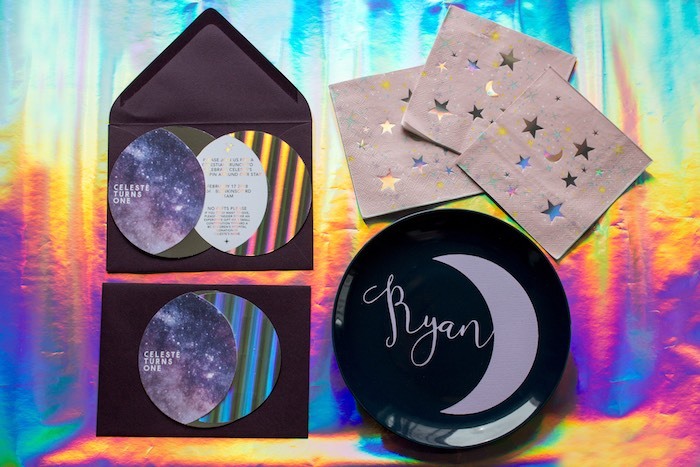 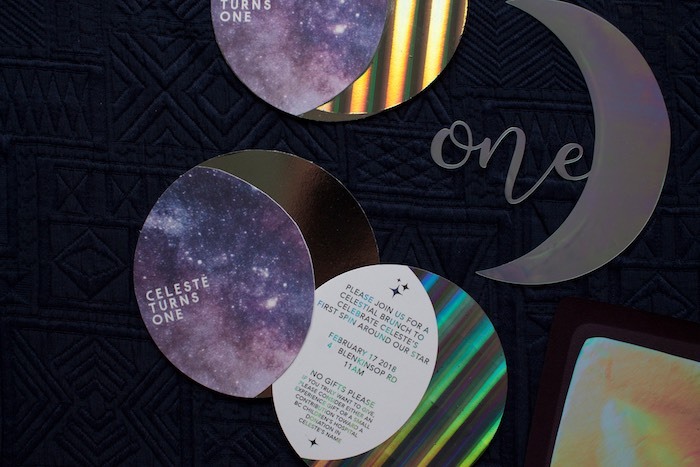 The inspiration for the look started with our invitations, a round galaxy print with a crescent moon-shaped cut out, with a round pull out invitation with details in holographic foil. 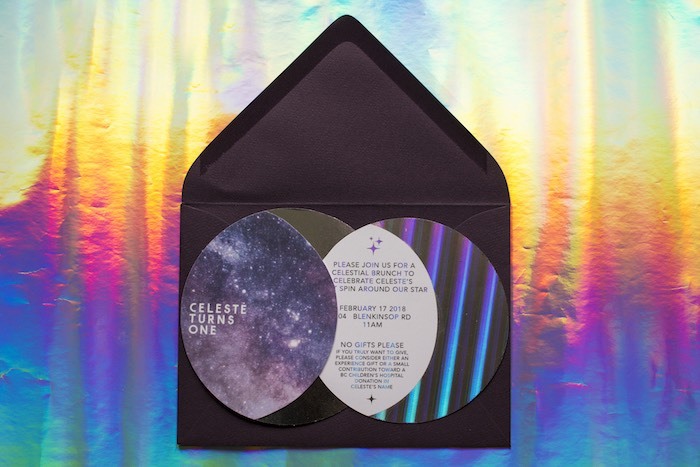 This was the base for the colours as well, balancing deep navy blue with lighter tones in lilac, soft pink, and of course, holograph. 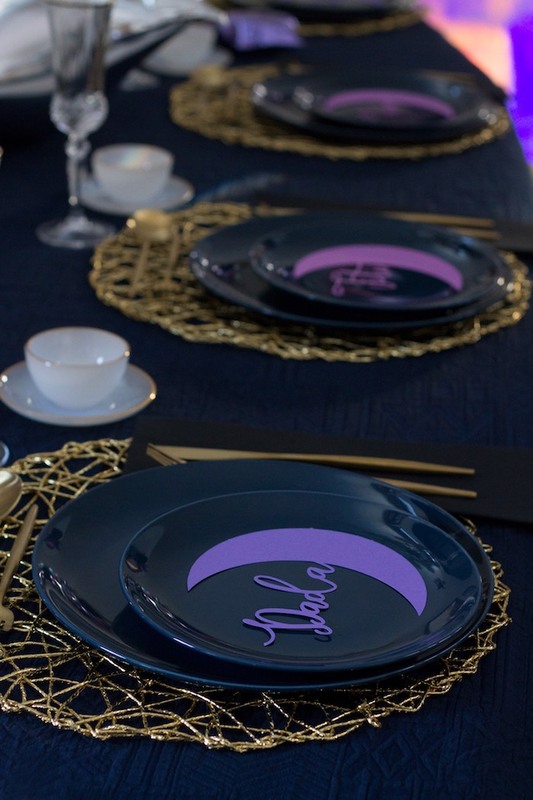 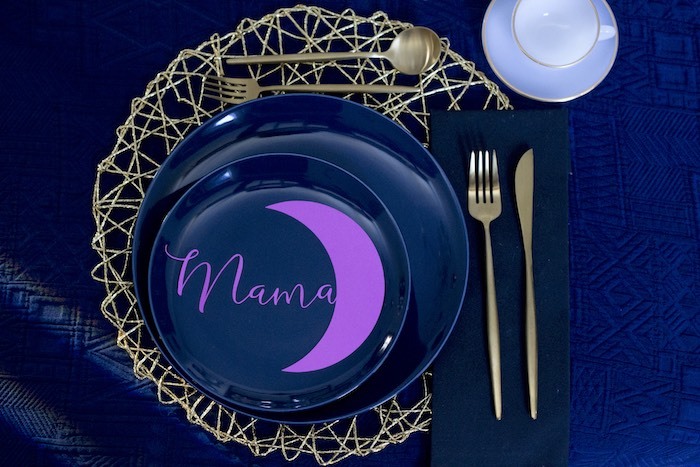 Each plate was adorned with a moon-shaped cut out of each guests name, or who they are to Celeste (the place setting vavó, for example, is for her Portuguese grandma). 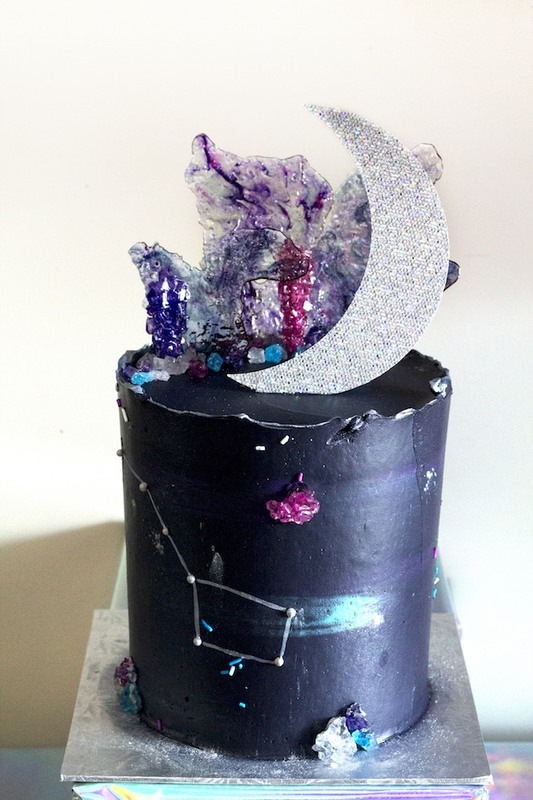 Even though it was a brunch party, we had to include a celestial cake topped with a moon. 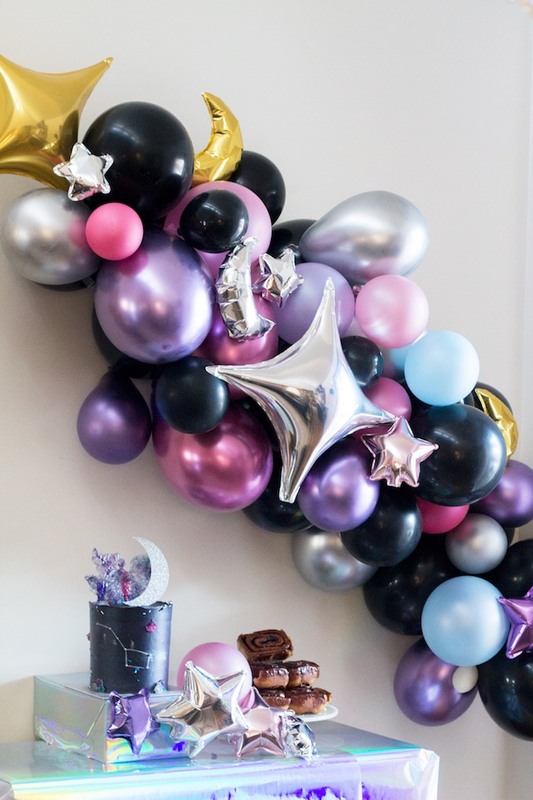 Don’t worry, it was a pancake flavoured cake to keep it within the brunch theme. 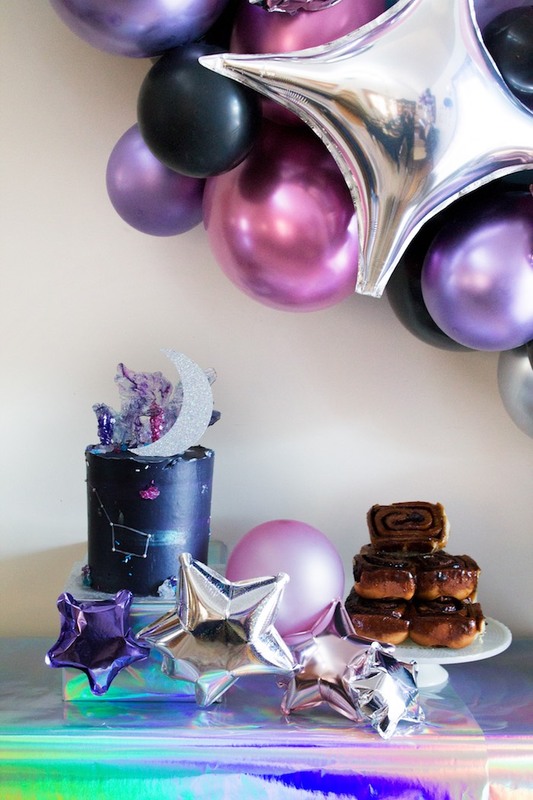 The balloon arch with tons of stars and moon balloons helped create a focal point for the cake and cinnamon buns on a holographic table.